Great Dane have been working with the Wikkelsø family to reintroduce this iconic designer's work back into the modern market place. We begun with the V11 range and have created a range that now includes three sofas and two easy chairs. The latest addition to the range is the Illum Wikkelsø coffee table. A classic centrepiece for any room, the elegant antler-like base reaches up from the ground balancing a delicate glass top. 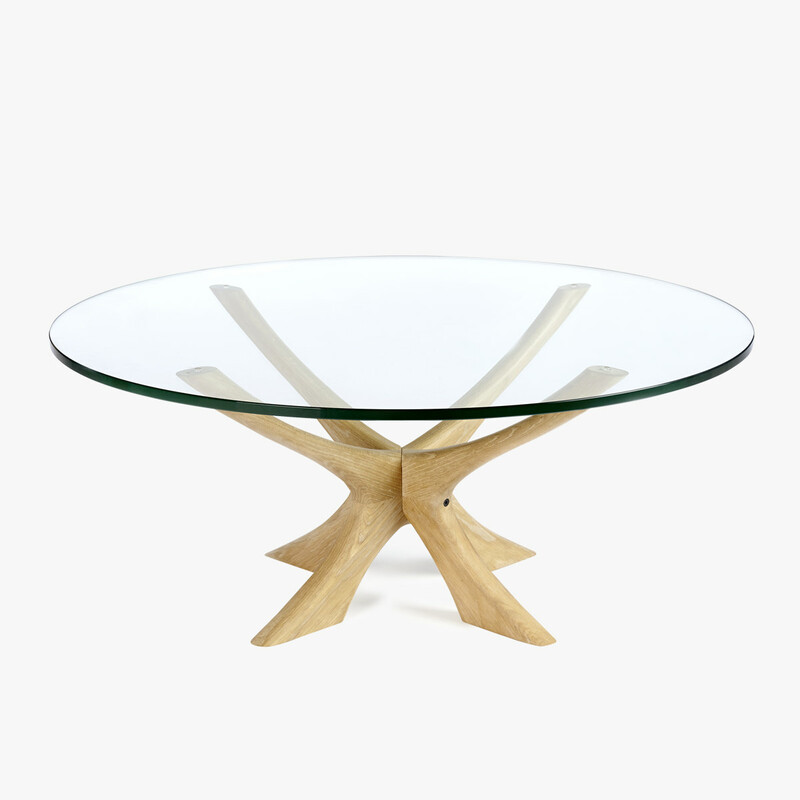 The Wikkelsø coffee table is unique in its organic form for a designer often known for his geometric shapes. Available in walnut or oak with smoked or clear glass top options.